I am freshly off of spring break and I have realized one thing. I want more break. I want more time to relax and eat and cook and eat and sleep and maybe eat some more. During the break I made this wonderful soup one evening. It really hits the spot if you’re craving something warm and hearty but still healthy. It’s especially good if you eat it with some toasted bread like focaccia or sourdough. 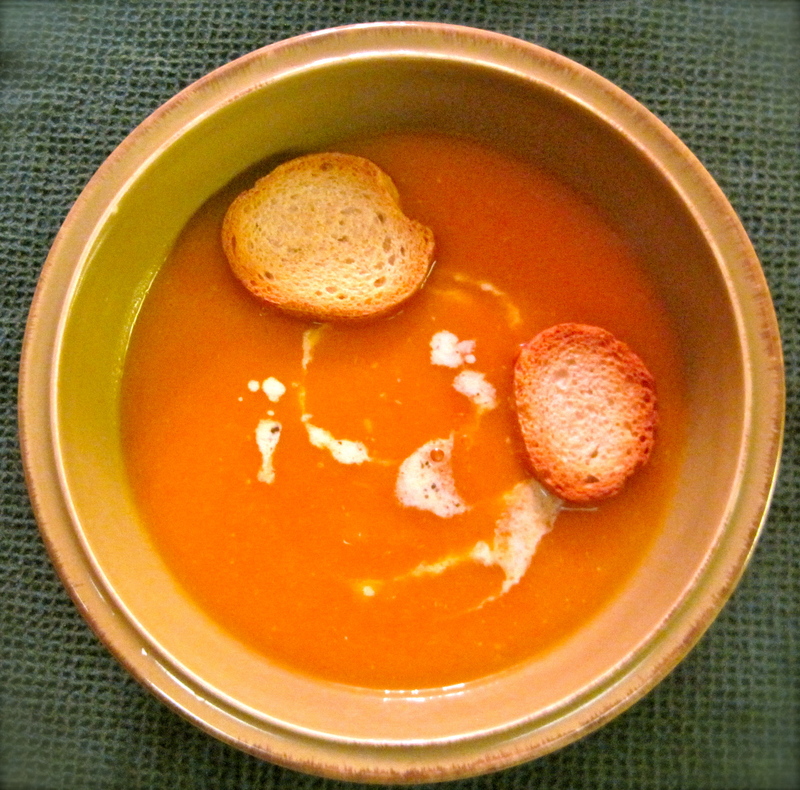 I modified this soup from Jessica Seinfeld’s cookbook Double Delicious. Her version did sound tasty, but I wanted to really kick up the flavor and take advantage of my plentiful supply of garlic. 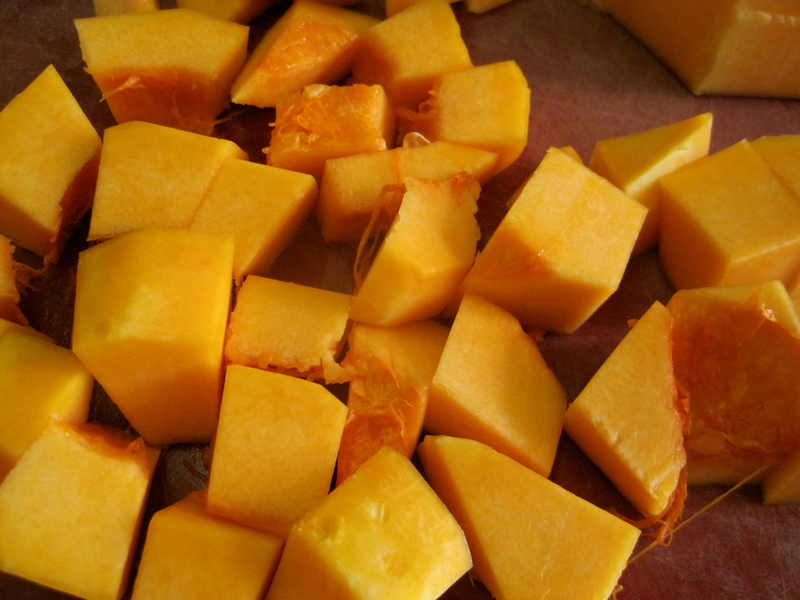 I adore butternut squash. 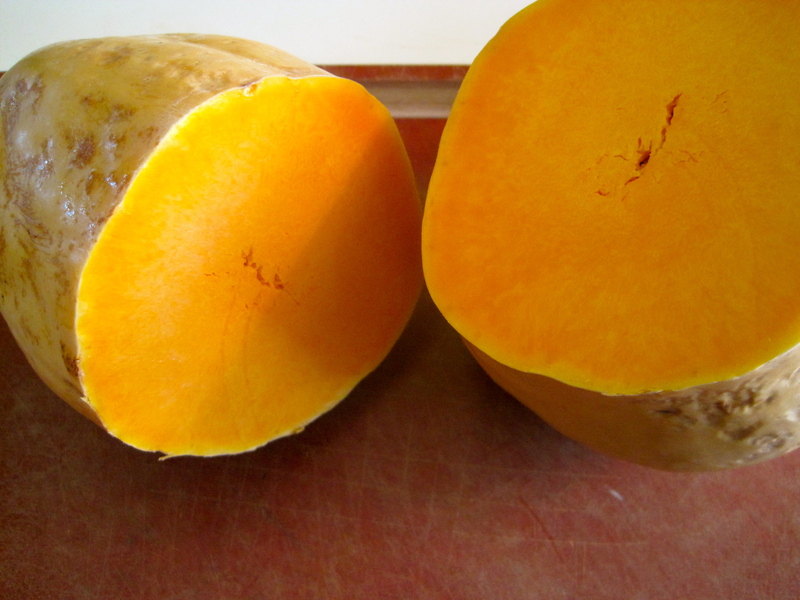 If you’ve never had it, I would best describe it as a mix between a carrot and a sweet potato. 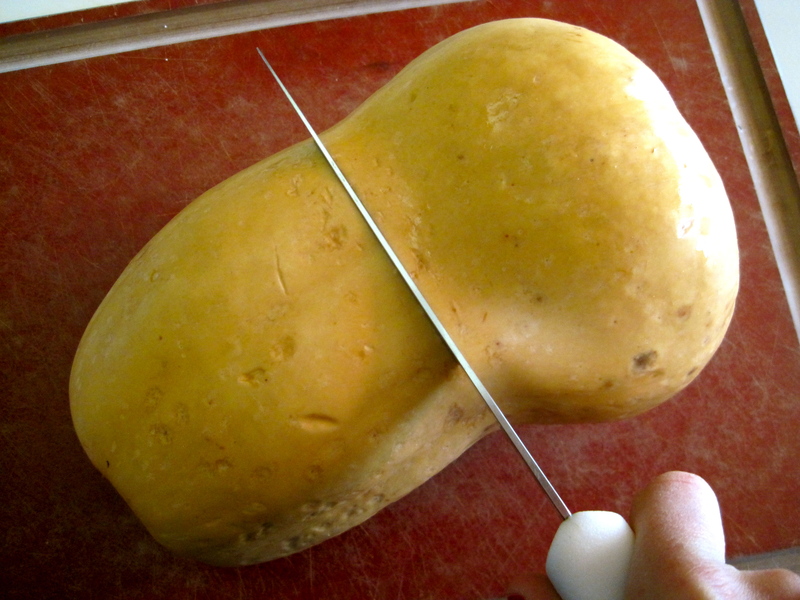 When cooked, it has the denseness of a potato with a hint of sweet flavor and a gorgeous orange color. 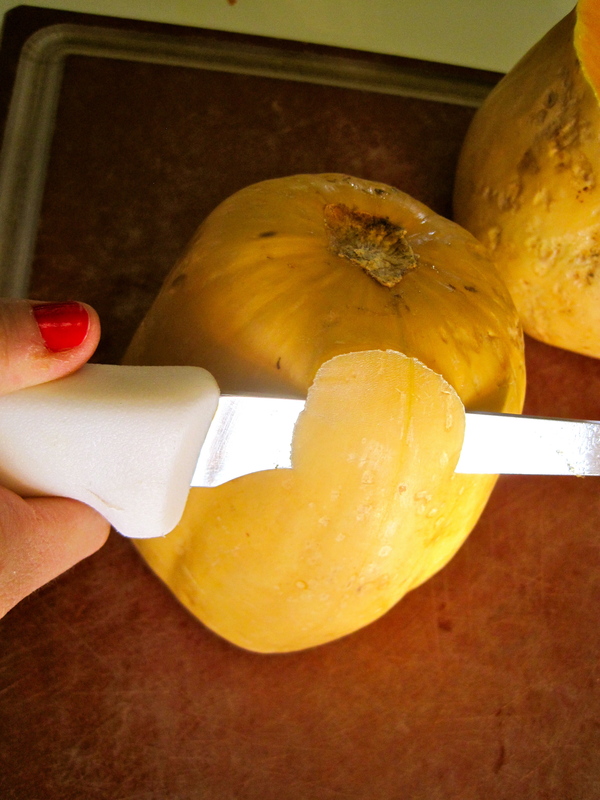 The first time I cut into a butternut squash, I did a horrible job because I had absolutely no idea what I was doing. 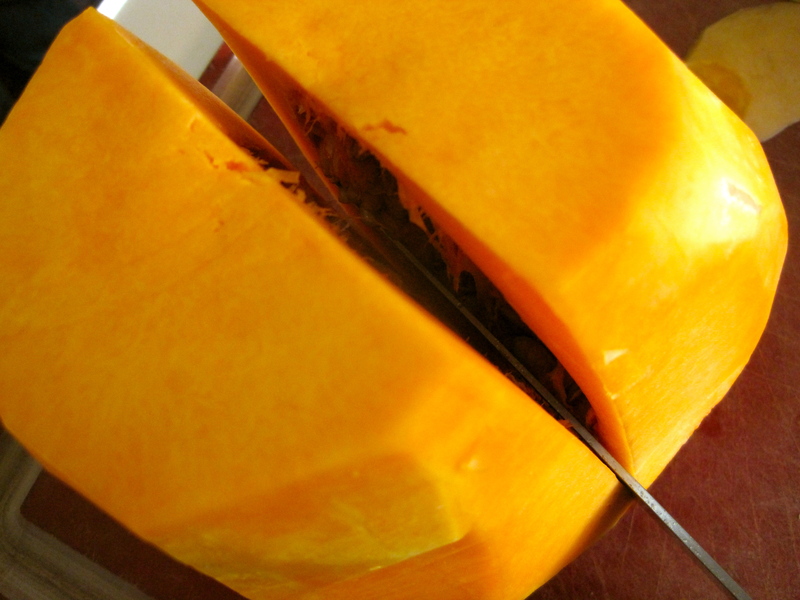 I’m going to walk through, step by step, how I cut squash, but if you have a preferred method, go for it. 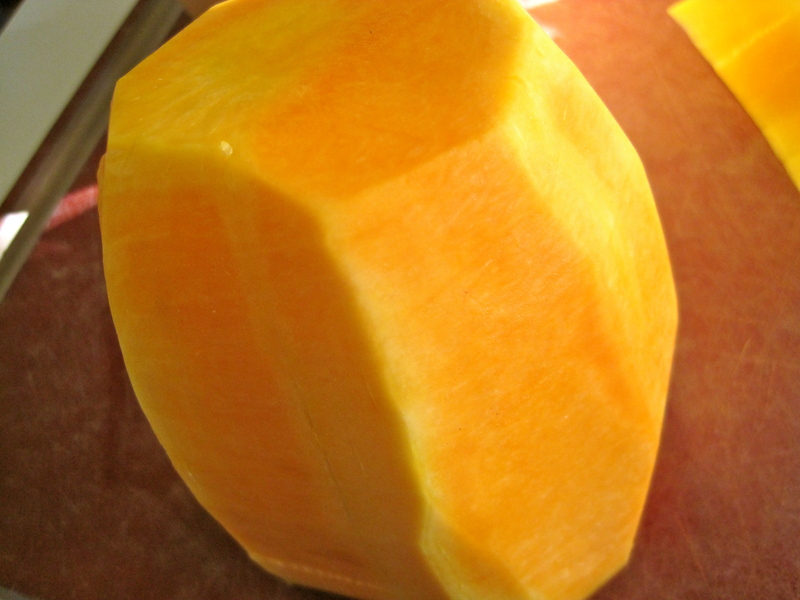 If you are short on time, many markets like Whole Foods and Trader Joe’s sell already peeled and cubed squash which can make prep much quicker. 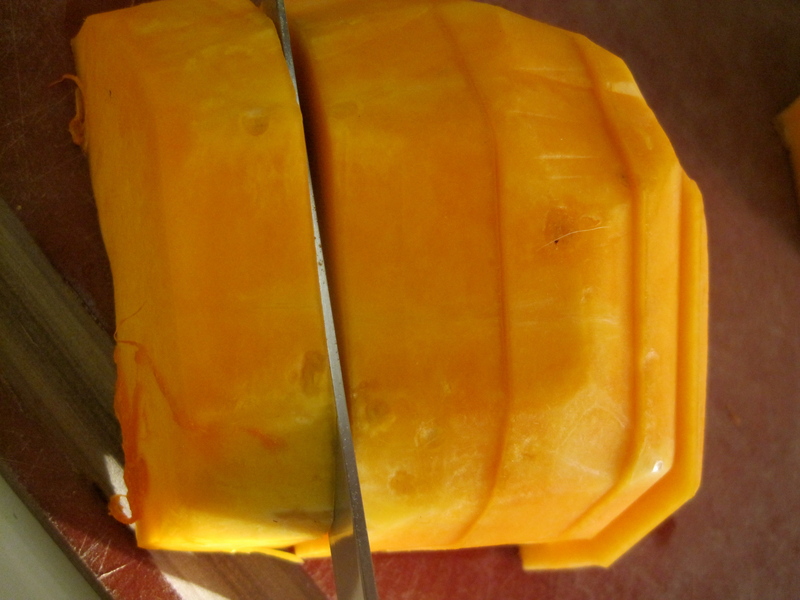 Next, I place the cut ends on the cutting board (to prevent from slipping) and slice down the squash toward the board with my knife, removing all of the skin (this helps to protect my hands because the squash skin may be difficult to remove). 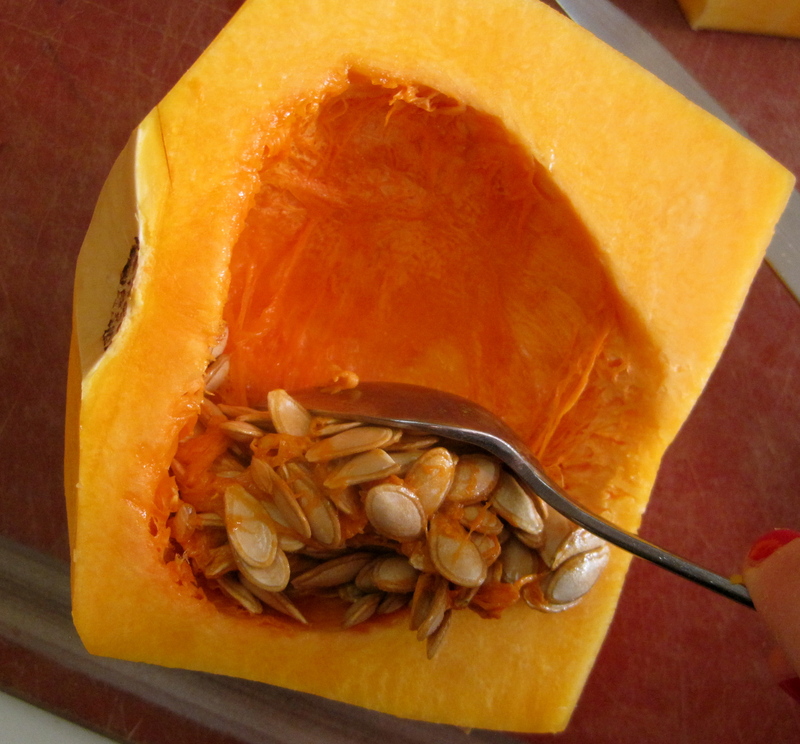 The seeds can be easily removed by taking a spoon and scraping along the cavity (just like with a pumpkin). 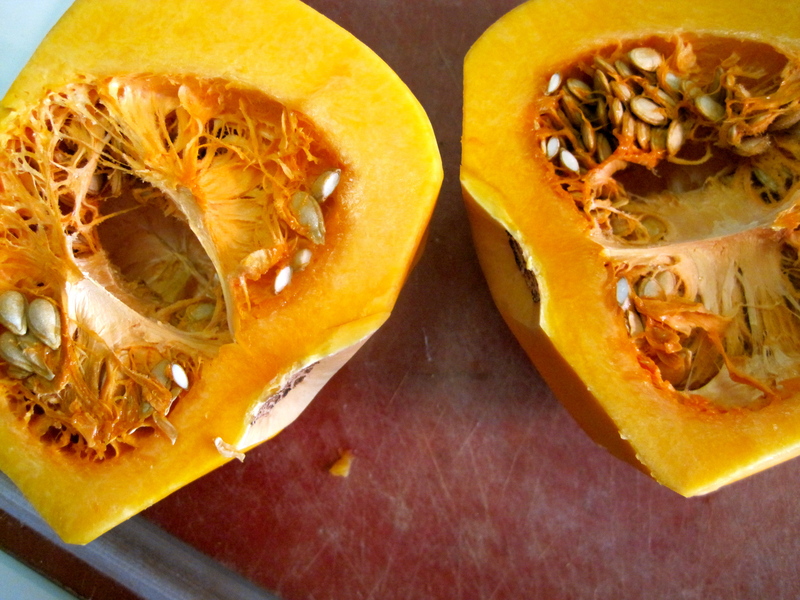 After scraping out the seeds, I slice the squash into long strips. Then I cube it into 1-2 inch pieces. Set aside. To the pot add cubed butternut squash, one can of “no salt added” diced tomatoes (with the juice), and one quart of chicken broth. If you want to make this soup vegetarian, you can vegetable broth instead. 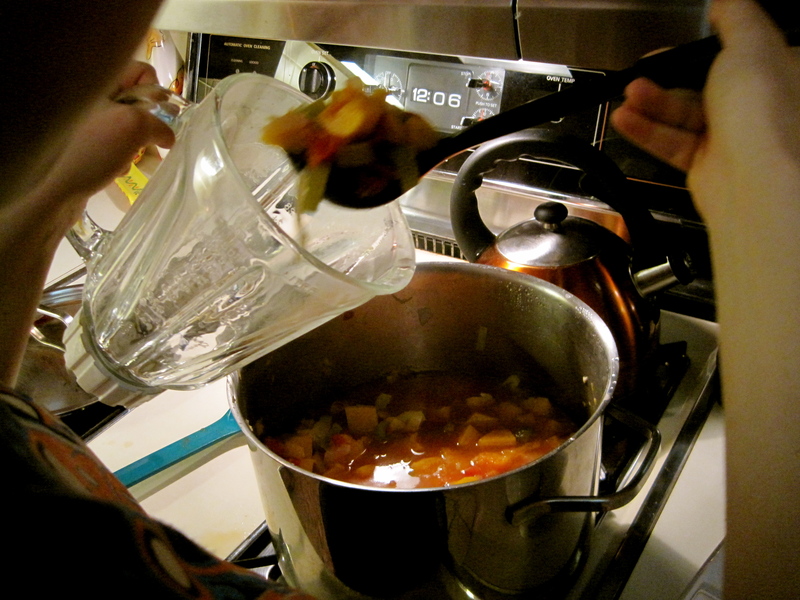 Note — I used chicken bouillon, which is concentrated chicken flavor, to make my broth. Chicken (or any other flavor) bouillon is great to have on hand because it can be a quick and easy flavoring. Plus, it’s much less expensive to make your own broth instead of purchasing the cans. To make broth this way, you boil 1 cup of water and add 1 teaspoon of bouillon, stirring to incorporate. Let the mixture come to a boil and then reduce heat to low and let simmer until the butternut squash can be mashed with the back of a spoon. About 30 minutes. Now the fun part! You’ll need a standing or immersion blender (or food processor, but a blender may make the job easier). So what is an immersion blender? It’s an interesting looking device that works great for blending, or pureeing soups, but other than that, I have no idea what else it can be used for. 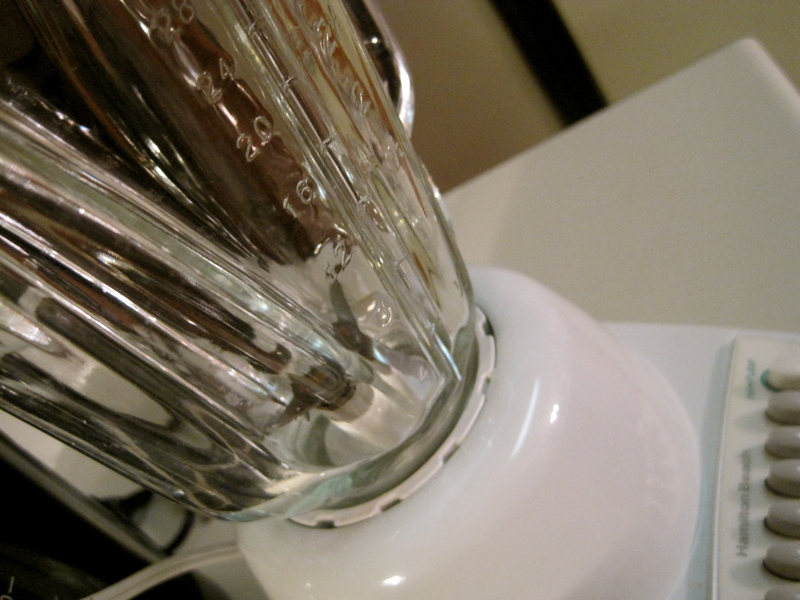 That being said, I think you can do the job perfectly well with a regular blender, so you don’t have to run out to Bed, Bath, and Beyond (unless you plan on making LOTS of pureed things). 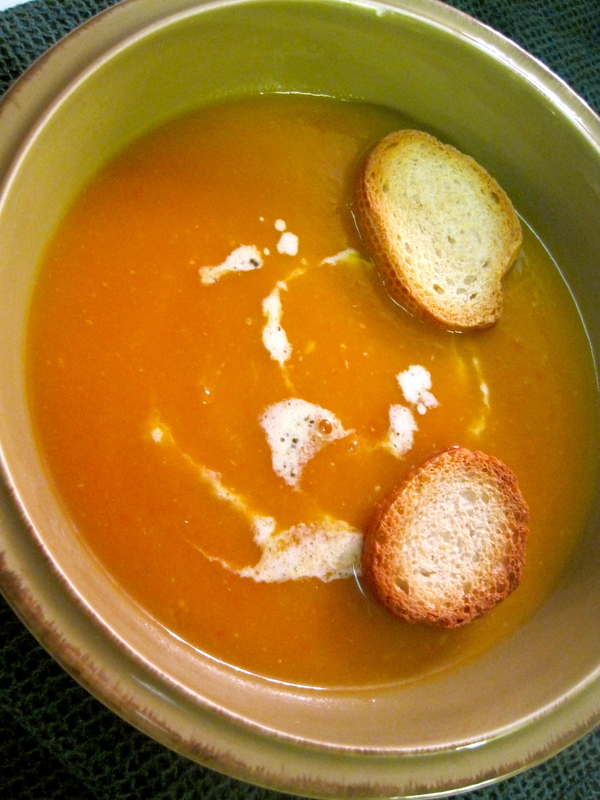 In batches, place the soup into the blender and puree until the soup looks smooth. 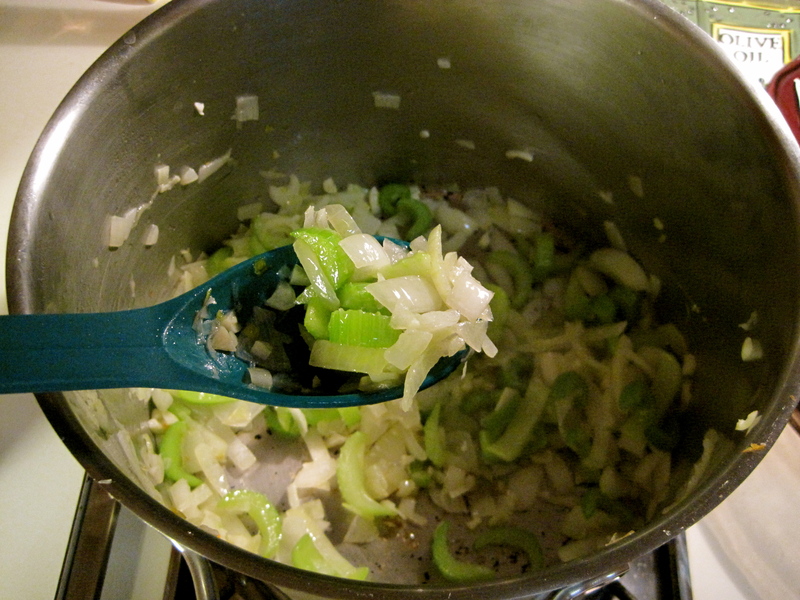 If you like a chunky soup, puree the mixture less. Similarly, if you want a “soupy” soup, puree it more. To make sure that I puree all of the soup and don’t have any random chunks, I place the pureed soup in a separate bowl from the un-pureed soup. Once all of the soup has been blended, put it back in the pot and heat on low for 5 minutes, stirring frequently, just to return it to a hot temperature (it may have gotten cold while blending). To take this soup to the next level, I made a simple pesto cream to go on top. Mix together 1 tablespoon of your favorite pesto (they sell many different types of pestos in the pasta and sauce section of the grocery store) and 1/4 cup of heavy cream. 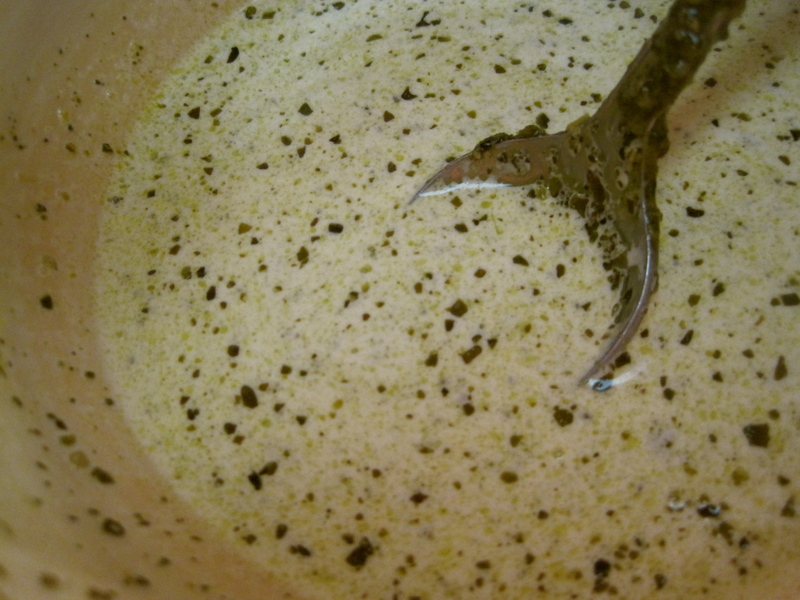 Drizzle the pesto cream on your soup. I added some croutons, just for a little crunch and texture. 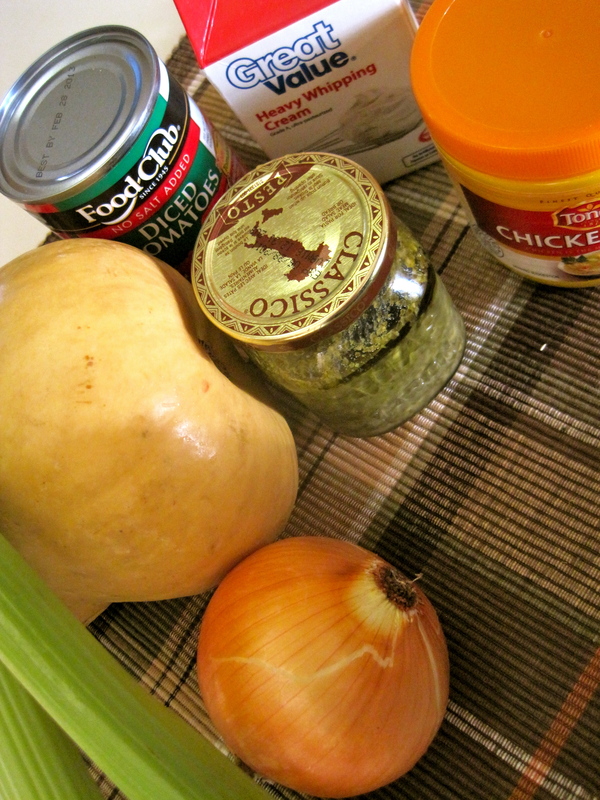 To the pot, add the butternut squash cubes, the can of tomatoes, and the chicken broth. Allow the mixture to boil. 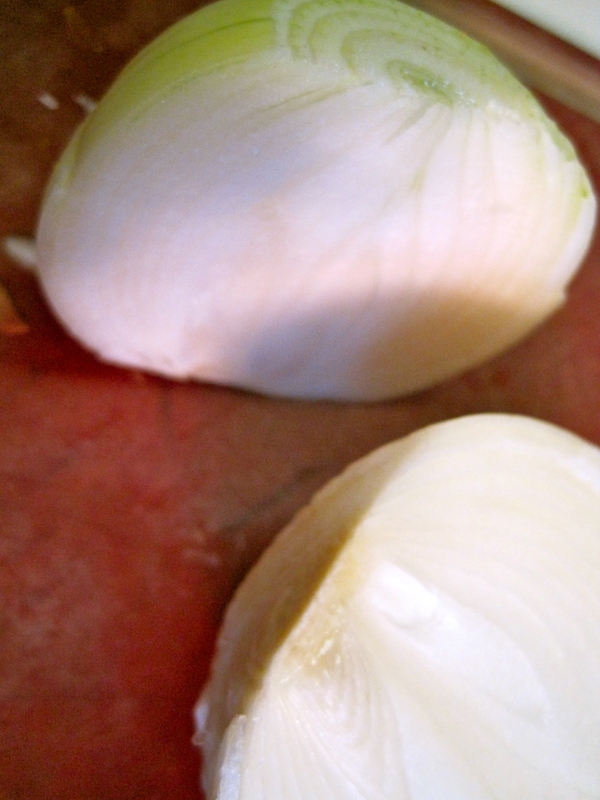 When it comes to a boil, reduce the heat to low and cover. 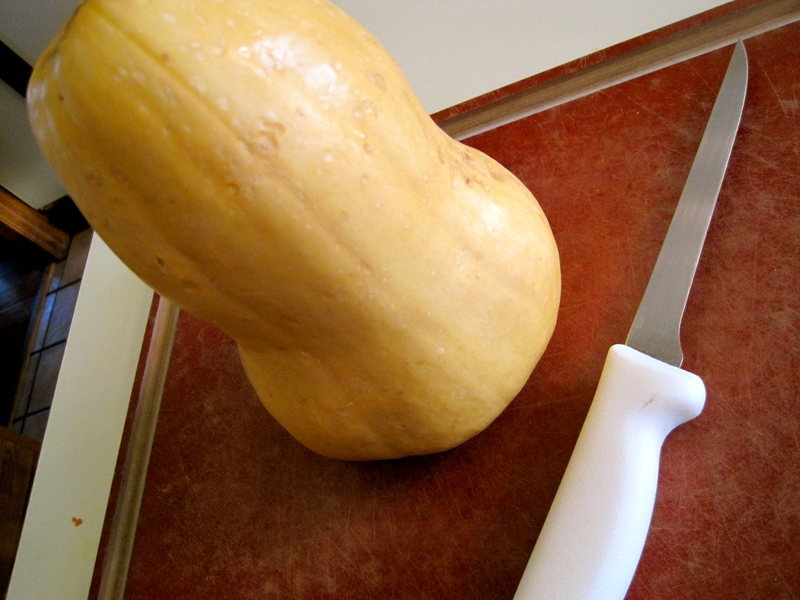 Cook for 30-40 minutes or until the butternut squash is soft (you should be able to mash it with the back of a spoon). 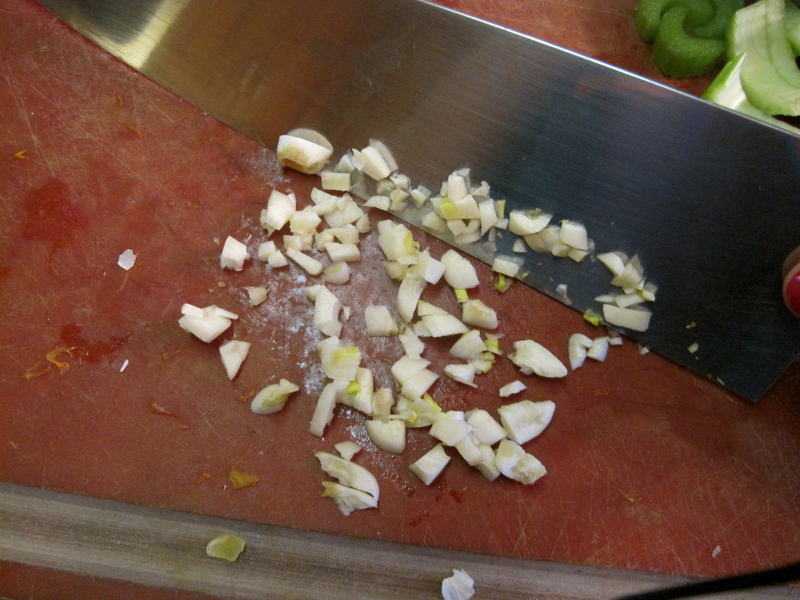 In batches, puree (blend) the soup to desired consistency. Place the soup back in the pot and cook on low, stirring occasionally, for about 5 minutes. WOW Again!!! I simply can not get over how awesome you make the food look through the lens of your camera. You have a natural ability towards photography in addition to creating food that tastes as good as it looks. I know because I actually tried this one…. Thanks for a great recipe. 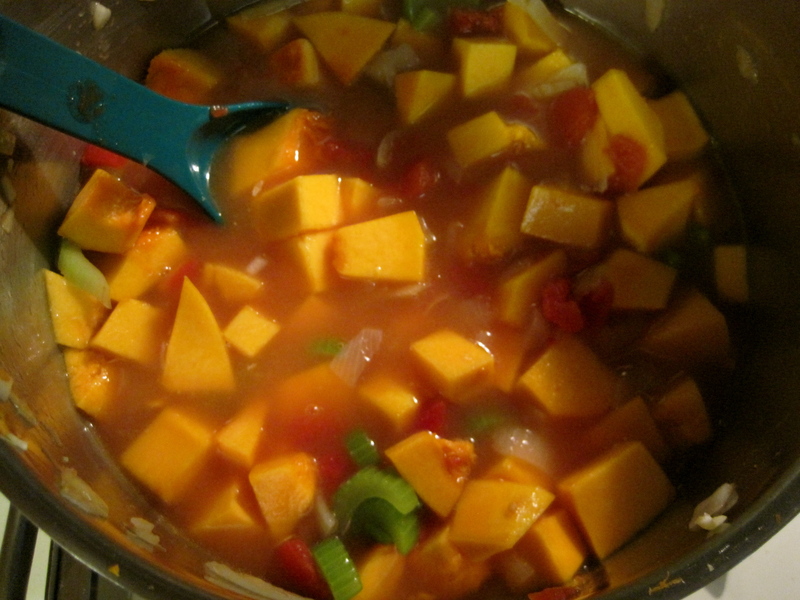 I am also in college and love to cook and this butternut squash soup turned out as good as you said it would. I made the pesto cream and it was really good as a garnish. Will you be posting more soon?